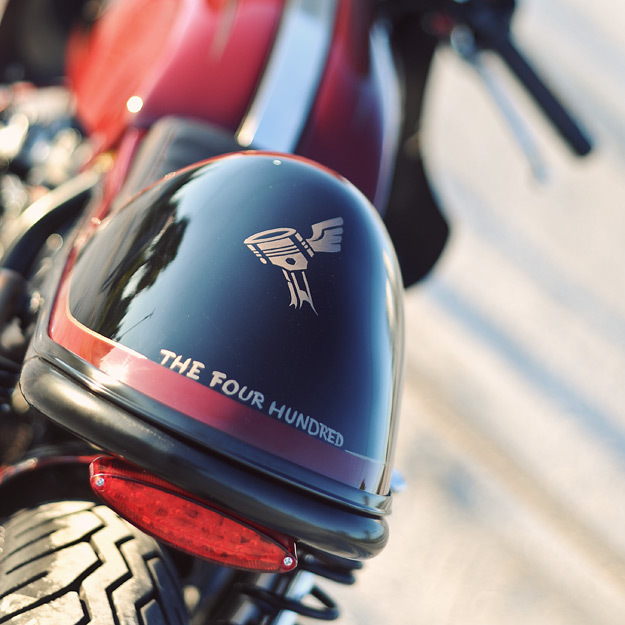 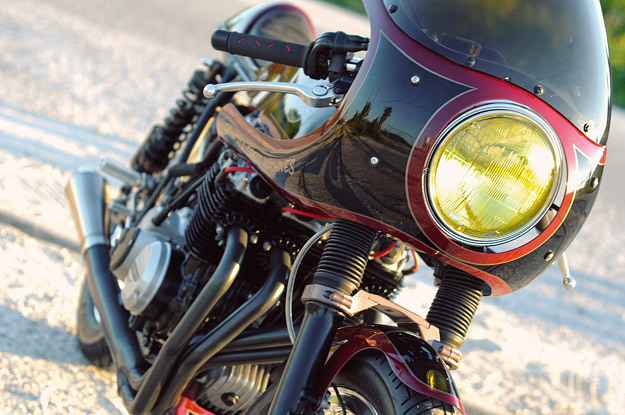 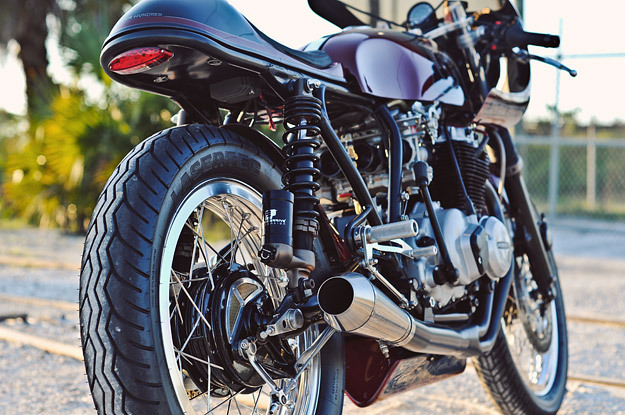 One of the leading lights of the café racer scene in the US right now is Dime City Cycles. 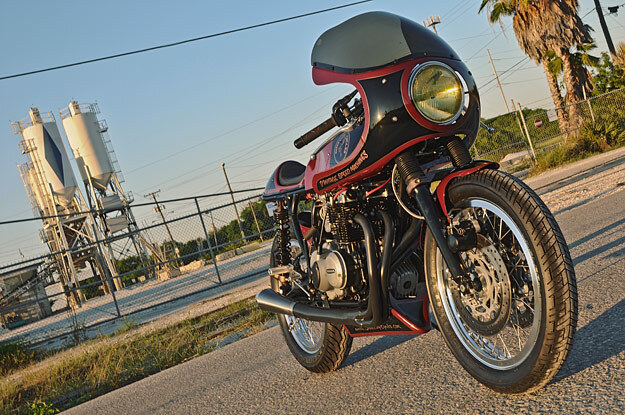 Here’s the latest build from Jason and Herm, a very heavily modified Honda CB400—as you may have guessed from its name. 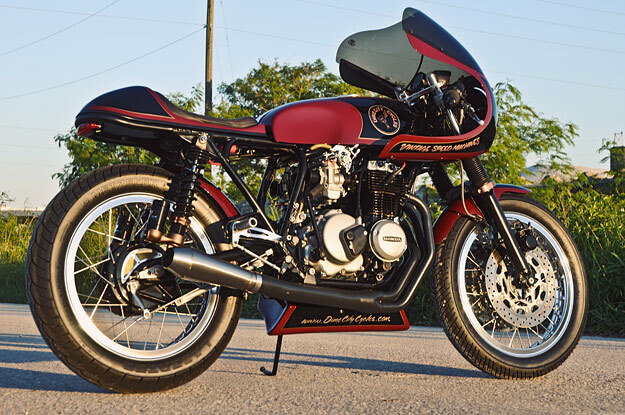 It’s a comprehensive overhaul of the classic 70s Super Sport, right down to the modified, braced frame and swingarm. 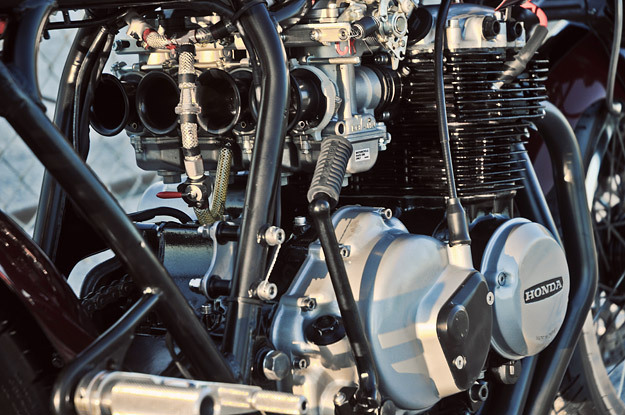 They’ve also upgraded the motor with Yoshimura 54.5mm pistons (boosting capacity to 466cc), a Kibblewhite Precision Machining valve train, and Keihin CR carburetors.